Wool and leather go together for the season like winter and hot chocolate. 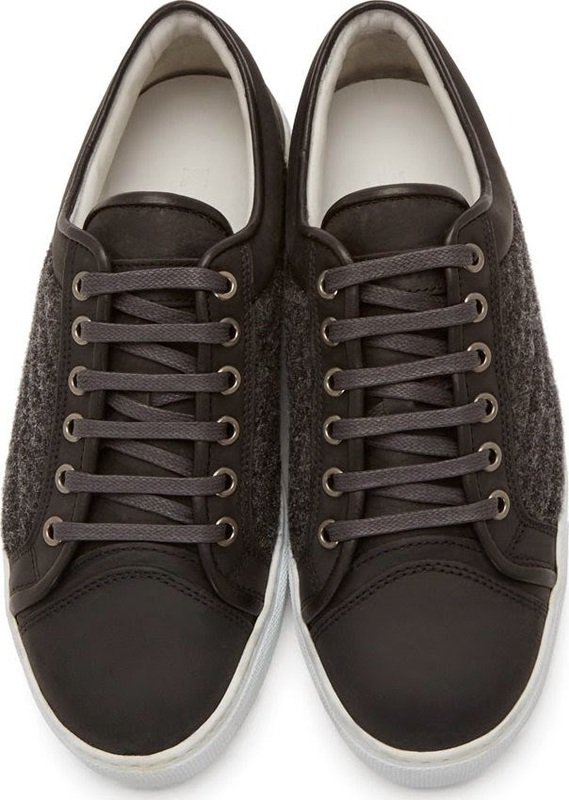 ETQ Amsterdam has got these pretty cool Dark Grey Leather & Wool Low Top Sneakers on tap for the season. 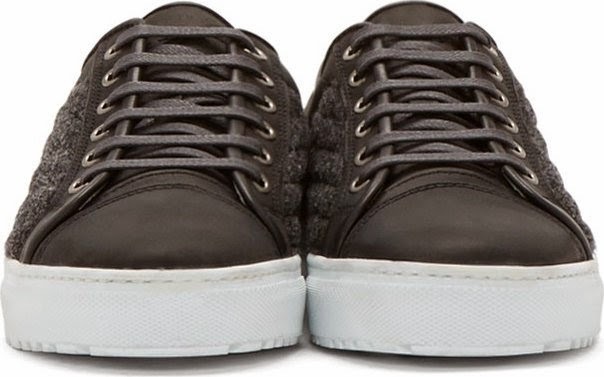 With an upper constructed of smooth durable leather and quilted wool, these sneakers bridge the gap between dress up and dress down. 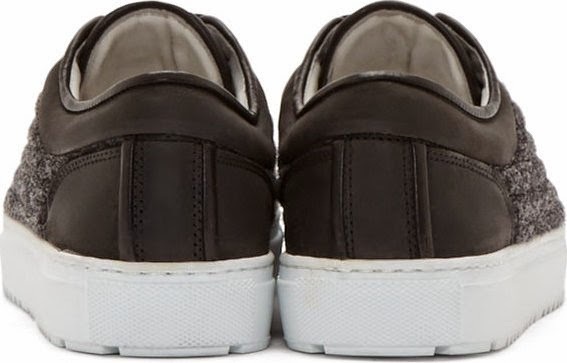 Anchored by a unique white rubber sole, these can be paired with the full fall/winter closet from the trimmest windowpane check trousers to the nubbliest cropped flannel joggers. Available now at Ssense.com.